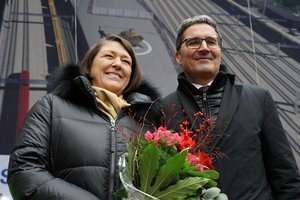 07.12.2018 Fortezza / Bolzano - Following the recent breakthrough of the southern portal of the Brenner Base Tunnel, European Commissioner for Transport, Violeta Bulc, visited the BBT construction sites. 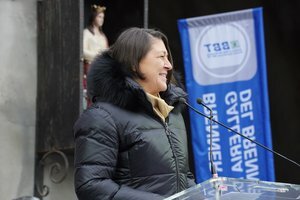 Early in the morning, Bulc arrived at the BBT's southernmost site, where she met the mayors from the project area, representatives of the companies involved in the construction, representatives of the supervisory board, as well as technicians and miners. After a brief trip through a stretch of tunnel, the delegation reached the south portal of the tunnel and were able to see the actual status of the works. The Commissioner was accompanied by the European Coordinator of the Scan-Med Corridor, Pat Cox, the Governor of the Province of Bolzano Arno Kompatscher, the Chairperson of RFI Claudia Cattani, the Vice-Chairman of the Supervisory Board Lamberto Cardia, the General Director of the Ministry of Transport Enrico Maria Pujia, the mayors of the townships surrounding the construction site and both CEOs of BBT SE, Raffaele Zurlo and Konrad Bergmeister. The delegation was met at the south portal by BBT SE’s employees and by the miners and technicians of the contractor companies. Commissioner Bulc took advantage of the occasion to emphasize that large works can proceed on time and within their cost framework. 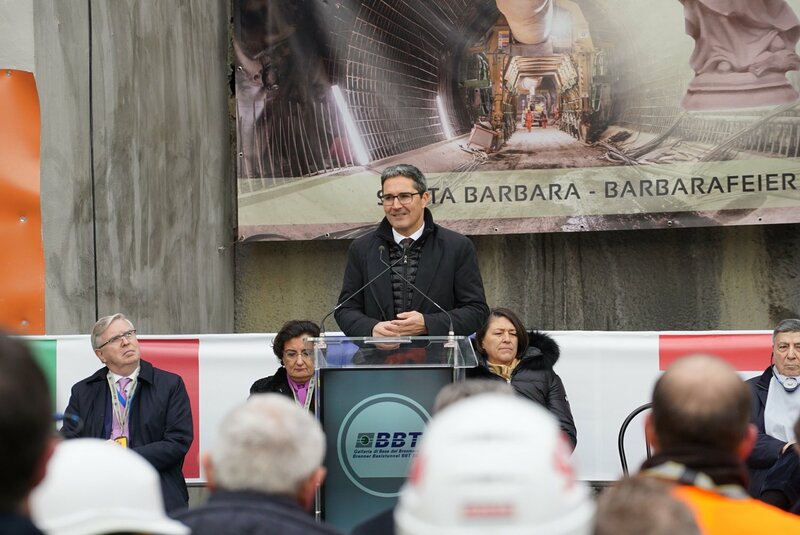 “Not only the technical innovations used to build the BBT, but also the way this cross-border project is managed are a model for the future”, the Commissioner noted. Pat Cox encouraged everyone present to be proud of having contributed to this great project. He praised the excellent cooperation on the part of the local authorities and the support of the local population, calling it a rarity in large works such as this. "Actually, during the construction phase itself, a project like the Brenner Base Tunnel creates added value thanks to the exchange of experience and shows that the European vision is in fact the winning ticket. In many ways, we do not have a common policy in Europe, but our project is European in every way. 100 years ago, our forefathers fought a war on these mountains, whereas today, people from Italy, Austria and other European countries work together and use their knowledge and abilities for a common future. We are building the backbone of Europe. The construction of the project has created 1,700 jobs so far in Italy and Austria, 1,700 jobs that will rise to 2,500 in the coming months when the construction sites in Austria will begin to operate. The relationship with the local population, based on trust and transparency, is an absolute prerequisite for the success of the project.” This is an excerpt of Mr. Zurlo’s remarks to the guests, employees and technicians at the event, emphasizing the European dimension of the Brenner Base Tunnel Project. Commissioner Bulc continued her visit by touring the Austrian construction sites.